The Mercy IT team is very excited about the Mercy 2.0 plan and is working feverishly on developing each piece with the highest excellence. In order to share our enthusiasm and keep you informed, we intend to give you updates on our progress. Our first major changes will (hopefully) be invisible to you. Each one involves moving to “the cloud”. We are in the process of moving us to Google Apps for Education. 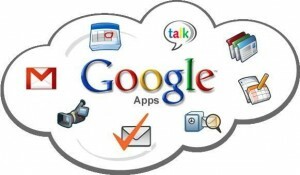 Besides being free, Google Apps gives us the advantage of moving easily across platforms. Don’t worry, your work will not be immediately impacted. Even when we move to Gmail (this summer), you will be able to keep the same name@mhsmi.org address. Google provides fantastic educational tools which we will invite you to explore with your students through 2012. The IT Dept. will be creating a Google Account for every student, teacher, and staff member. In addition, we are moving Moodle off the Mercy servers to a company called Moodlerooms. They will host, support, back up, and update this vital vehicle for our curriculum. We will pay for this service, but allowing them to assume the increasingly heavy technical burden of keeping Moodle operational, will allow our IT staff more time for staff and student support.